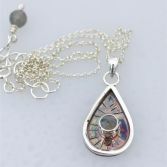 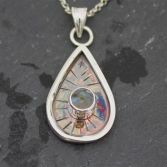 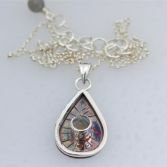 I have only made one of these so you will receive the Labradorite Necklace shown in the images. 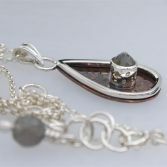 The necklace and has a pretty 5mm Labradorite gemstone which has littler flashes or blue and gold when it catches the light. 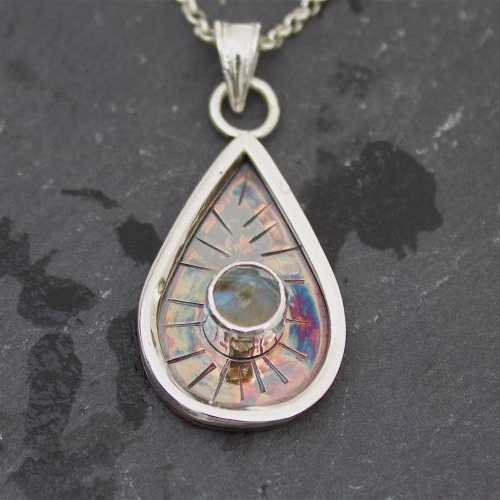 I have set the Labradorite upside down to give it a pointed cone shape, its set in sterling silver and sterling silver and copper which gives the pieces an individual look, and the colours of the metals enhance the tones of the Labradorite stone. 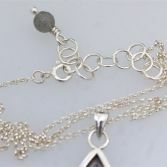 The pendant is hung on a sterling silver round belcher chain with links that measure 1.8mm by 1.8mm, the chain has a sterling silver round trigger clasp and has a two inch extension chain so the necklace can a be worn anywhere between 18 inches and 16inches (it also has a labradorite bead at the end of the extension chain. 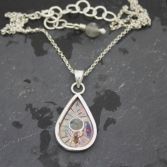 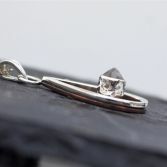 The pendant element measures 35mm long including the bail by 17mm at widest point. 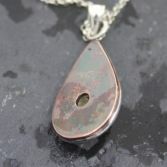 The Copper element of the pendant has been given a patina to make it darker to give the pendant its stormy look. 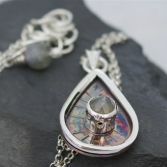 The Stormy Labradorite Necklace will be presented in one of my signature gift box and posted via Royal Mail 1st class delivery (signed for) free of charge to any UK address.